The woman was on her way to see her sister when reported missing. An Oregon woman has a spectacular story of survival to tell after she crashed her Jeep off a cliff and survived for a week before being discovered by hikers on Friday. Andrea Hernandez, 23, was reported missing July 6 when she failed to show up at her sister's house in Southern California, police said. She had called her sister midway through the trip down from Portland, but after saying she was six hours from arriving in Lancaster, California, she suddenly disappeared from the map, according to the missing person report issued by the Monterey County Sheriff's Office. 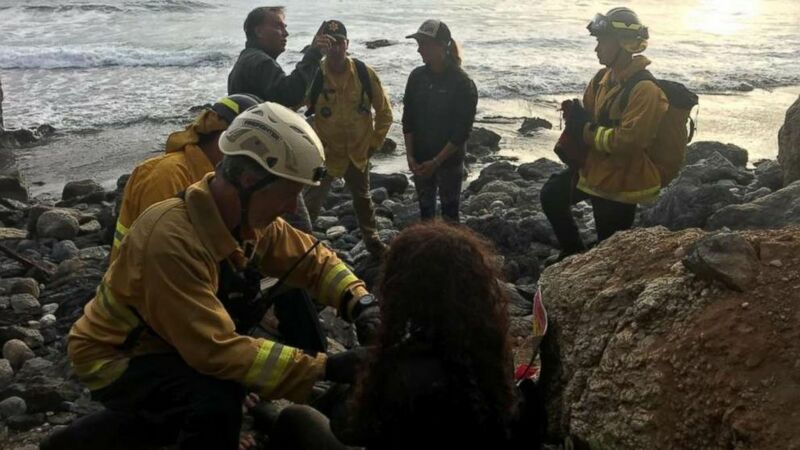 A full week later, Hernandez was miraculously rescued at the bottom of a 200-foot cliff near Big Sur after hikers found her mangled 2011 Jeep Patriot half in the Pacific Ocean at about 6:30 p.m., according to the sheriff's office. (Monterey County Sheriff's Office) The Monterey County Sheriff's Office spent the last few days searching along Highway 1 for Andrea Hernandez, who was reported missing on July 6, 2018. Hernandez had a shoulder injury and concussion, but could walk and talk, according to officials. "Angela Hernandez has been located and is being transported to the hospital," the sheriff's office tweeted just after 11 p.m. Friday. 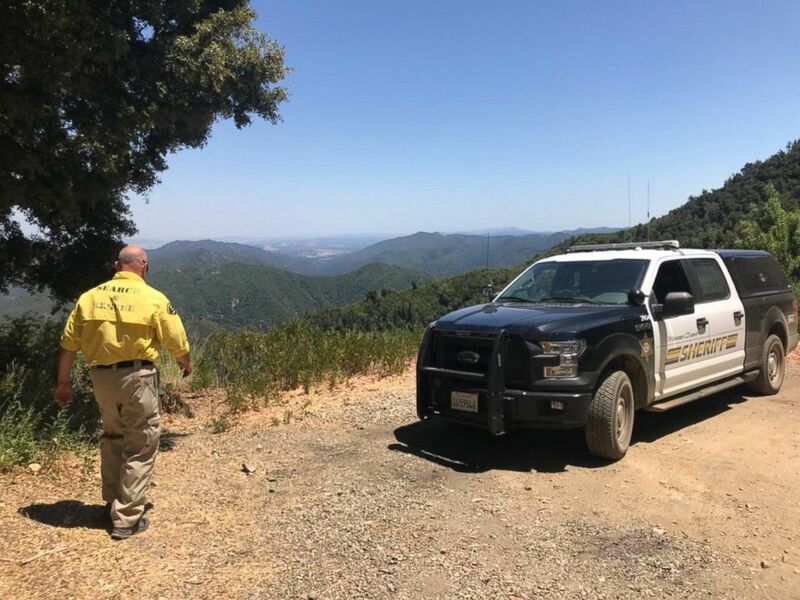 Officials had been looking along Highway 1, which borders the Pacific Ocean, and Big Sur after surveillance video showed her leaving a gas station near Carmel on July 6, about 25 miles north of where she was found. The only other clue had been a ping from a cellphone tower along Highway 1 in Davenport. 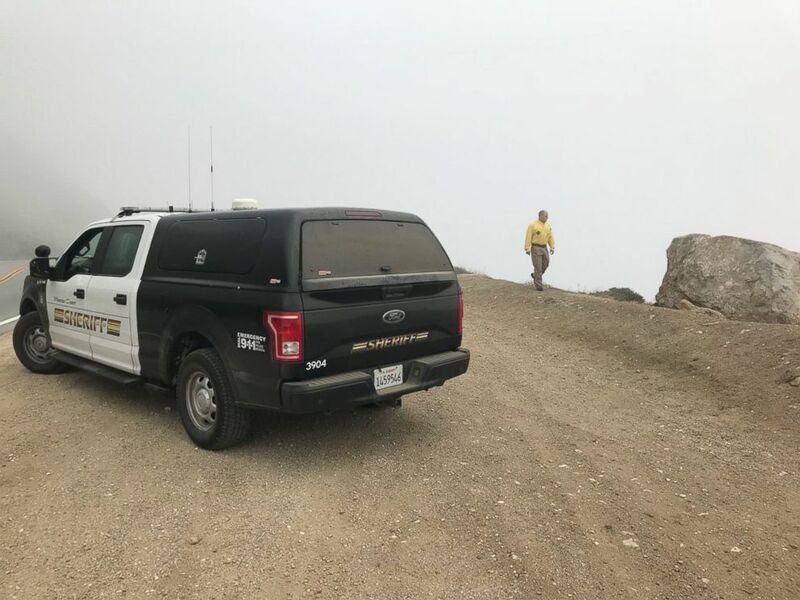 (Monterey County Sheriff's Office) Andrea Hernandez was rescued at the bottom of a cliff Friday, July 13, 2018, after she disappeared a week ago. Hernandez had spoken to her sister from Half Moon Bay, where she had spent the night, on the morning of July 6 before setting off on the final leg of her journey, according to San Francisco ABC station KGO. In the missing person report, the statement read, "It has been 3 days now and her family has not seen or heard from Angela. Angela is an active social media user and since then, she has not been active. Her phone goes straight to voicemail. "She has not shown her family any signs of depression, to be suicidal or any indicators that would explain her unexpected disappearance," it adds. (Monterey County Sheriff's Office) The Monterey County Sheriff's Office spent the last few days searching along Highway 1 for Andrea Hernandez, who was reported missing on July 6, 2018. Fog did not allow for an air search.